Pam Bray Designs: A Girl with Flair: 2015 Favorite Projects with some of my Favorite Companies!!! 2015 Favorite Projects with some of my Favorite Companies!!! I thought I would share a few of my favorite projects from 2015!!! Hugs and Kisses Candy Box!!!! January Hugs and Kisses Candy Box along with corrugated paper from an old box. You can find all the details HERE!!! My favorite February project is this wonderful mini album!!! 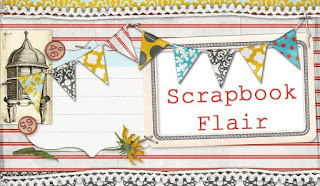 I am using some Stampendous fabulous stamps and Eileen Hull's Photo Album Die from Sizzix!!! All the fabulous details are HERE!!! My favorite March project is my Artful Canister!!!! I created using Eileen Hull's Canister Die from Sizzix along with stamps from Stampendous and lots of DecoArt Media oogdness!!!! Check out all the details HERE!!! Love Mixed Media Frame and Card!!! My Love Frame and Love You Card were my favorite April projects that I did using Craftwell embossing folders and dies. I simply love how the Cut N Boss cuts and embosses!!! Make sure to check out the details HERE!!! So if you love mixed media I am sure you will love how easy the frame is to create using DecoArt Media products and journal pieces. I absolutely love my Fathers Day Box that I created for my husband!!! I recycled an old cigar box for my May. Begin by covering it using Graphic 45 Papers and Xyron Creative Station!!! If you haven't had a chance to see the Xyron Creative Station I would suggest you to check it out!!! I love it and use it all of the time!!! Xyron Creative Station along with Simple Stories. This Makes Me Smile Card!!! I love how the Butterfly Stamp from Stampendous and all of the Teresa Collins dies and folders came together. Make sure to check out all the details HERE!!! Several times a year I do Guest Design Spots. In August I was a guest for Gypsy Soul Laser Cuts formerly known as Gina's Designs Laser Cuts. I LOVE, LOVE Gina chipboard so make sure to check out this fun Dream of Butterflies post HERE!!! I was so honored in September to be asked to create a project to help promote the new DecoArt Media Paints and Paste for the debut in JoAnns. How exciting is that...so I made a fun Welcome Fall Plaque and you can find all the step out directions HERE so you can recreate it. There is also a pattern that you are able to use. I love making treat boxes using Eileen Hull's Dies from Sizzix. For my October project I made an apple box using a Caddy die, Xyron Adhesive and Deep River Stamps. Isn't it a fabulous way to gift candy apples. Make sure to check it out HERE!!! I love fall, it is truly my favorite time of year. As soon as I seen the Canvas Corp Shoulder Bag I knew I was going to fill it full of Stampendous Sunflowers!!! Check out all the details for my favorite November project HERE!!! Merry Christmas Card and Tag!!!! I had so many favorite December projects but I have to say that my Merry Christmas Card and Tag that I made for my guest design spot for Emerald Creek has to be one of my favorites!!! If you love Christmas though and want to see more fabulous projects make sure to check out all the projects from December but for this one you can find it HERE!!!! I hope you have a wonderful 2015 and that New Year Day will mark a new beginning!!! I am so glad that you are following me along my creative journey!!! If you haven't started following me I would love for you to!!! A Few of My Favorite Stores!! !